As many of you know we have been very busy adding some exciting new features to the marketplace. We have received a lot of feedback from the community and are doing our best to respond with some good solutions. We are getting very close to launching the new features and wanted to let you all know that we have not forgotten you. Take a sneak peak at some of the great features coming to a screen near you. I am very excited about the new Joint Forces features coming. To begin, we have added a new option in your account settings where you can be more specific about your desire to team up with other designers or developers. We highly encourage you to select the option that you are interested in, so we can more accurately assist in setting up killer Joint Forces teams. We have plans to take this data and help you find the perfect partner for your teams. We announced earlier that Mojo-Code is coming soon and we felt it necessary to help you navigate between your theme and plugin shopping. Giving more options to sellers has been a personal endeavor of mine that I have taken very seriously. We are very excited to announce that sellers will soon be able to answer their most commonly asked questions on the item FAQ tab. Over the years we have seen that when sellers are doing support on items, they end up answering the same questions over and over and we feel the FAQ tab will become a huge asset to sellers and buyers. Secondly, we have provided an accurate changelog to ensure buyers are up to date on the most recent possible version of the product. We feel strongly that between these two additions, sellers and buyers will have a much better experience on Mojo-Themes. I am very excited to see the new changes integrated and get some more solid feedback from everyone. Thanks again for being a part of Mojo. 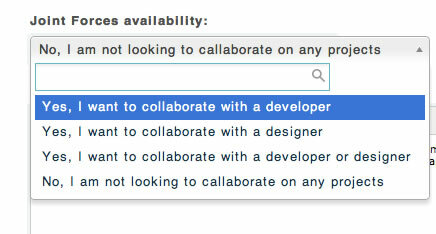 Please let us know of any features you would like to see on the marketplace so we can work on adding them.